Bloom size: 6 - 8"
This full growing hydrangea is a wonder. Blooms begin creamy white but turn pink (and then RED!) as the bloom ages into the fall. We're excited about the photos we have seen on this scarlet beauty. 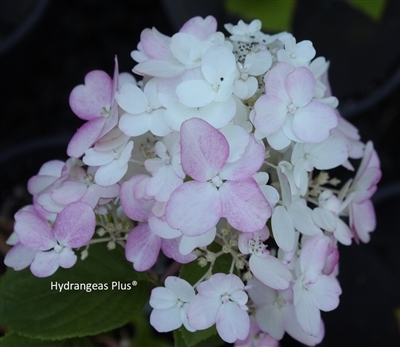 This will be another great selection from PW brand of hydrangeas - lots of sterile florets to fill the bloom and wonderful color come fall.